Muslims who explore sources of morality other than Islam are threatened with death, and Muslim women who escape the virgins' cage are branded whores. So asserts Ayaan Hirsi Ali's profound meditation on Islam and the role of women, the rights of the individual, the roots of fanaticism, and Western policies toward Islamic countries and immigrant communities. Hard-hitting, outspoken, and controversial, The Caged Virgin is a call to arms for the emancipation of women from a brutal religious and cultural oppression and from an outdated cult of virginity. It is a defiant call for clear thinking and for an Islamic Enlightenment. But it is also the courageous story of how Hirsi Ali herself fought back against everyone who tried to force her to submit to a traditional Muslim woman's life and how she became a voice of reform. Born in Somalia and raised Muslim, but outraged by her religion's hostility toward women, Hirsi Ali escaped an arranged marriage to a distant relative and fled to the Netherlands. There, she learned Dutch, worked as an interpreter in abortion clinics and shelters for battered women, earned a college degree, and started a career in politics as a Dutch parliamentarian. In November 2004, the violent murder on an Amsterdam street of Dutch filmmaker Theo van Gogh, with whom Hirsi Ali had written a film about women and Islam called Submission, changed her life. Threatened by the same group that slew van Gogh, Hirsi Ali now has round-the-clock protection, but has not allowed these circumstances to compromise her fierce criticism of the treatment of Muslim women, of Islamic governments' attempts to silence any questioning of their traditions, and of Western governments' blind tolerance of practices such as genital mutilation and forced marriages of female minors occurring in their countries. Hirsi Ali relates her experiences as a Muslim woman so that oppressed Muslim women can take heart and seek their own liberation. Drawing on her love of reason and the Enlightenment philosophers on whose principles democracy was founded, she presents her firsthand knowledge of the Islamic worldview and advises Westerners how best to address the great divide that currently exists between the West and Islamic nations and between Muslim immigrants and their adopted countries. 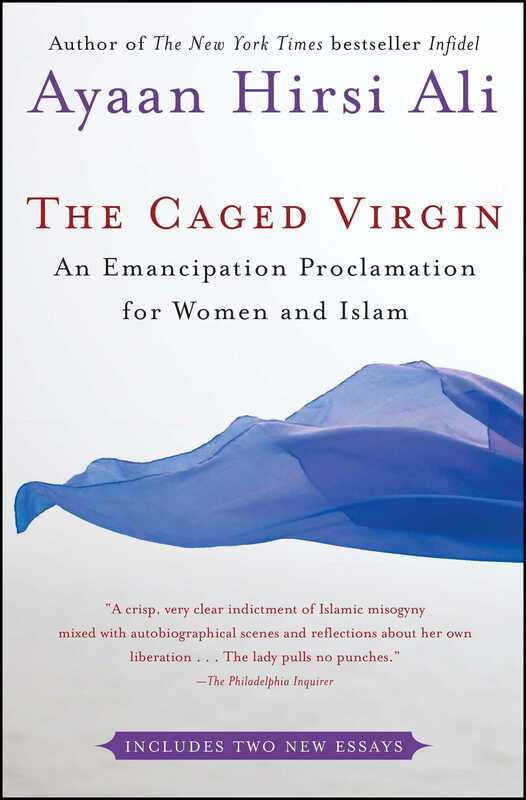 An international bestseller -- with updated information for American readers and two new essays added for this edition -- The Caged Virgin is a compelling, courageous, eye-opening work.